Organic petrology is the branch of earth science dealing with the origin, occurrence, structure, and history of sedimentary organic matter (OM). Petrology is broader in scope than petrography, which is concerned mostly with the description and classification of sedimentary OM. Thus, organic petrology, broadly defined, includes virtually all aspects of OM-bearing rocks, and encompasses all possible analytical methods. The great complexity, heterogeneity, and non-crystalline nature of sedimentary OM poses difficult analytical challenges to organic petrologists. Investigation of such complex materials both requires effective classification system(s) and a diverse "grab bag" of analytical techniques. Historically, the optical microscope has provided one of the most useful tools in this effort, as it takes advantage of the remarkable ability of the human eye to recognize systematic patterns in complex systems; but emphasis in recent years has shifted more toward geochemical analysis methods, including solvent extraction, various pyrolysis methods, gas and liquid chromatography, mass spectroscopy, and nuclear magnetic resonance spectroscopy. One of the important functions of TSOP is to keep its members apprised of new developments in these diverse areas of specialization relating to organic petrology and to ensure that researchers around the world are "speaking the same language" and using reproducible methodologies in their investigations. Facets of organic petrology have found many applications in fundamental and applied earth sciences. Vitrinite reflectance measurements for example, are commonly used in petroleum exploration, coal rank determination, basin modeling, and minerals exploration. Maceral analysis is used in petroleum source rock characterization, blending of coals for coke-making, and interpretation of paleodepositional environments. Solvent extraction pyrolysis/GC/MS studies are used in oil/source rock correlations, and biomarker studies among others. 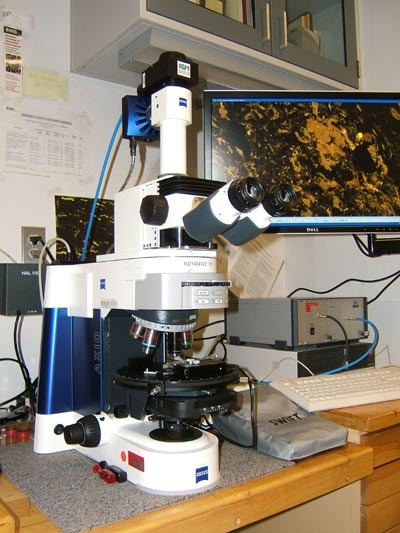 Fluorescence microscopy is another commonly used method of characterizing the compositional evolution of sedimentary organic matter, particularly from the standpoint of oil generation during organic. The study of sedimentary organic matter creates a natural linkage among different scientific disciplines, including: palynology (the study and classification of fossil spores and pollen); paleobotany (the study of ancient plants through their fossilized remains); fuel science & technology, including coal mining and processing, coke-making, oil-shale retorting, coal combustion, and coal conversion technologies; coal geology; petroleum geology; and organic chemistry. © TSOP 2018. All Rights Reserved.